This article is a colloborative effort of Nick Cellucci, Kahla Manning, Jeanna Contino, and A. Zoe Baldwin. On Monday, 23 settlements were made for the Penn State football child abuse case that rocked the university and brought down the late Joe Paterno nearly two years ago. $59.7 million is being awarded to 26 recipients. 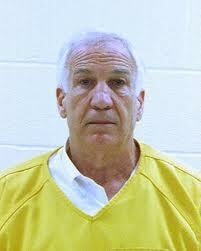 Penn State’s former assistant football coach Jerry Sandusky, 69, was charged with several instances of child molestation in 2011, and currently serves a 30 to 60-year sentence for the 45 criminal charges brought against him. In addition to the 23 settlements, three additional settlements are being considered agreements in principle; meaning final documentation is expected to be completed in the next few weeks. The names of the 26 recipients were not disclosed. Williamsport attorney, Clifford Rieders, told the Associated Press that the average payout matched other cases involving child abuse in educational or religious settings. Bloomsburg University students have weighed in with mixed feelings on the amount of money awarded to the victims. Other students are not in agreement with Penn State’s decision. Allen Heimbach, a senior Computer Science student at Bloomsburg University, gave his blunt opinion. “I feel like $59 million is a completely inappropriate use of state funds. It definitely hurts Penn State University’s image even more, making them look incredibly guilty,” said Heimbach. Emma Brown, a senior Mass Communications major at Bloomsburg University, also disagrees with Penn State’s decision. 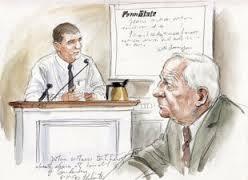 “I agree that the victims should be offered something, but the money aspect does not sit well with me. Did they really have to announce the exact amount of money? Maybe offering each victim money towards an education at any school of their choice would have been a better option. It also depends on if the $59 million is distributed equally among the victims of abuse. 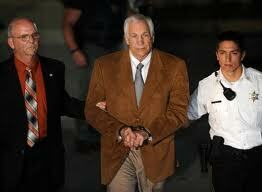 I think it is just bringing up the whole Sandusky issue once again, adding more negative light to it,” said Brown. Regardless of how people feel about the money, the recipients are satisfied according to Harrisburg lawyer Ben Adnreozzi, who helped negotiate several of the settlements. “They felt that the university treated them fairly with the economic and noneconomic terms of the settlement,” said Andreozzi, who also represents some others who have come forward recently. These new claims have not yet been presented to the university. University president Rodney Erickson views the settlements as a step in the right direction for Penn State. “We cannot undo what has been done, but we can and must do everything possible to learn from this and ensure it never happens again at Penn State,” Erickson said.